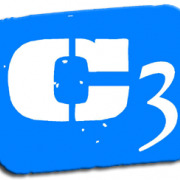 C3 Church Naples Fl: Community Congregational is a Non-Denominational Christian Church in Naples Florida offering both Traditional and Modern Worship Services at 15300 Tamiami Tr N - Rt 41 (Tamiami Trail) in North Naples Fl. Our Vision at CCC is “To See Every Person Embraced by God’s Love”. We hope that when you come and worship with us that you will be embraced by God’s Love. Then as you leave you will be active to embrace others with God’s Love. As a church we will not stop until we see Every Person Embraced by God’s Love! Our Worship Services are on Sundays at 9:30am (Traditional) and 11:00am (Modern). Twisted Pt 3 @ C3 Church Naples Fl Twisted Pt 3 - Prayer @ C3 Church Naples Florida. Listen to this post hurricane Irma update for an exciting announcement at C3 Church! &quot;Twisted&quot; Pt. 1 @ C3 Church Naples FL "Twisted" Pt. 1 @ C3 Church Naples FL. Common but deadly deceptions impact you every day. They can twist your thinking in ways you would never expect and leave you with a life you never imagined. In the "Twisted" series, we will expose some of the common ways God's truth gets twisted and become better prepared to recognize the deception around us. Make a plan to join us and we'll save a seat for you. Love Letters From God Pt 7 @ C3 Church Naples FL Love Letters From God Pt 7 @ C3 Church Naples FL In the "LOVE LETTERS FROM GOD" series, we are looking specifically at 7 'love letters' dictated by God to the Apostle John and subsequently delivered to selected churches in the region near the Island of Patmos. What was important enough to warrant a personal letter from God? In a word, love. Come and discover anew the truth that God desires and loves each of us. Come and see that you matter. Come and see that you belong. Love Letters From God Pt. 4 @ C3 Church Naples FL Love Letters From God Pt. 4 @ C3 Church Naples FL In the "LOVE LETTERS FROM GOD" series, we are looking specifically at 7 'love letters' dictated by God to the Apostle John and subsequently delivered to selected churches in the region near the Island of Patmos. What was important enough to warrant a personal letter from God? In a word, love. Come and discover anew the truth that God desires and loves each of us. Come and see that you matter. Come and see that you belong.